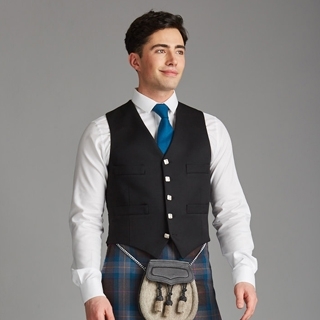 Highland Dress waistcoats can be made in a fabric matching the appropriate jacket or in tartan. 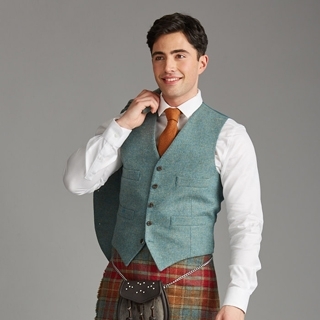 Kinloch Anderson provide evening waistcoats in tartan either straight cut or cut on the bias. The evening waistcoat has 3 Celtic buttons except for the Sheriffmuir vest which has 5 Celtic buttons. Day waistcoats are made in matching tweed cloth, barathea or tartan and have 5 matching buttons.